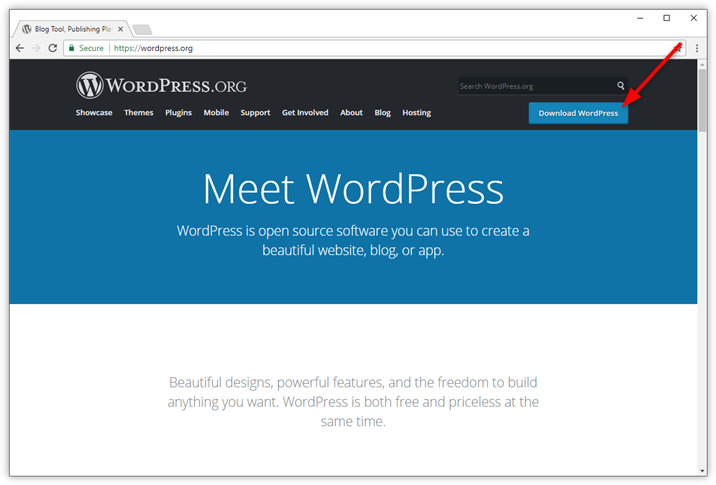 In this guide, we show you how to do a manual installation of WordPress on your web space. You can use this option if you can't, or don't want to, use the 1-click installer that is available in most of our packages. Would you rather use the 1-click installer? Then check out the guide below. 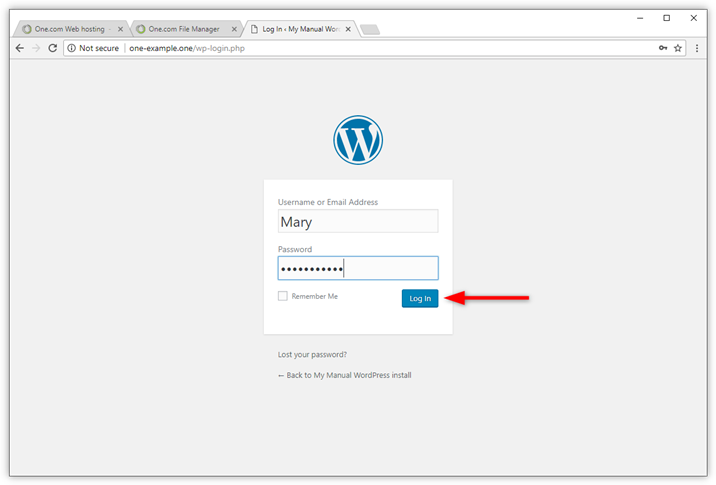 To install WordPress, you need the login details to your database. You can find them in your One.com control panel under PHP and database settings on the Advanced settings tile. 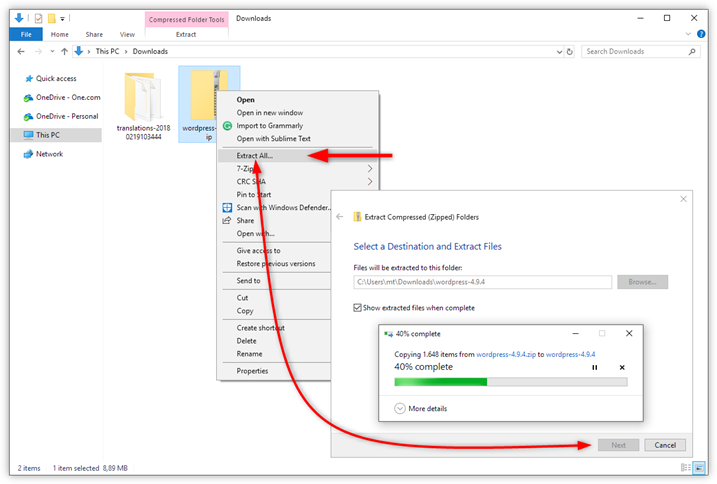 Copy the details to a file, or leave the window open for you to return to later. Tip: Click the eye-icon on the right side of your screen, to show or hide the database password. 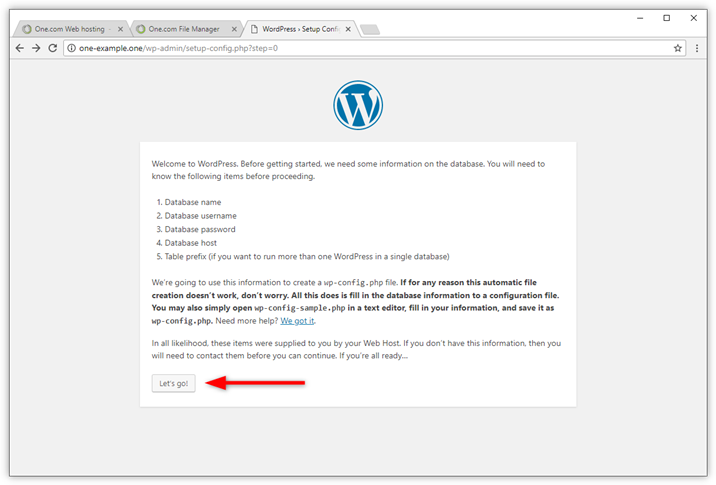 You need to download the WordPress installation files to begin. Click the button below to download the latest version, or go to the WordPress website to download them. Next, you need to extract the installation files on your computer. Locate the file you just downloaded; it will most likely be in your downloads folder. Right-click on the file, and select Extract all in the menu that appears. Click Next in the window that appears to begin extracting. Note: If you are using a Mac, the process will be different. Log in to your One.com control panel. Next, you need to upload the WordPress installation files to your web space. 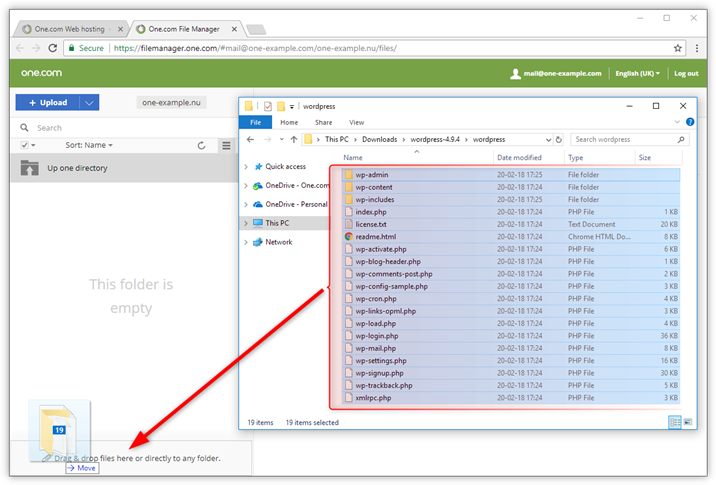 In this guide, we use File Manager for this, but you could also use an FTP-program, like Filezilla, to upload the files. 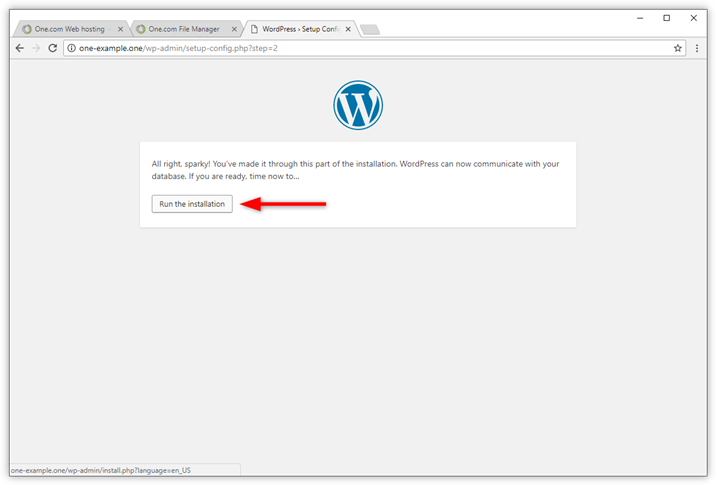 Note: In this example, we are installing WordPress in the root of your web space. 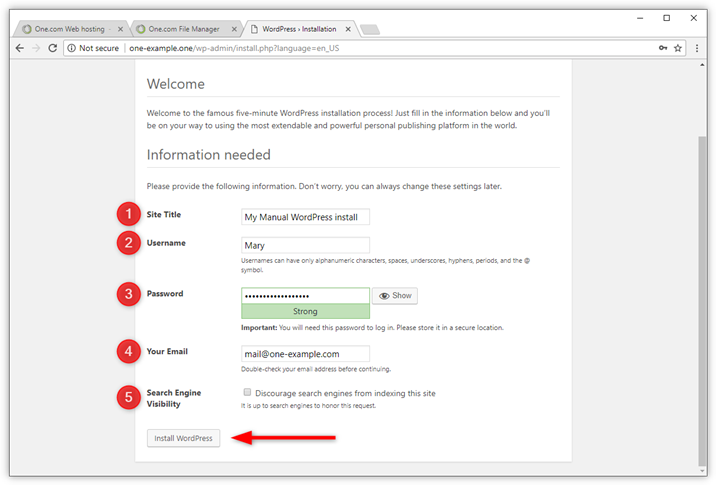 If you want to install WordPress on a subdomain, you need to upload the files to that specific folder. Navigate to the WordPress installation files on your computer. Drag all files and folders into File Manager. Wait until everything is uploaded, this can take about a minute depending on your internet connection. The remaining part of the installation happens in your browser. Open index.php (or any other file) to continue. 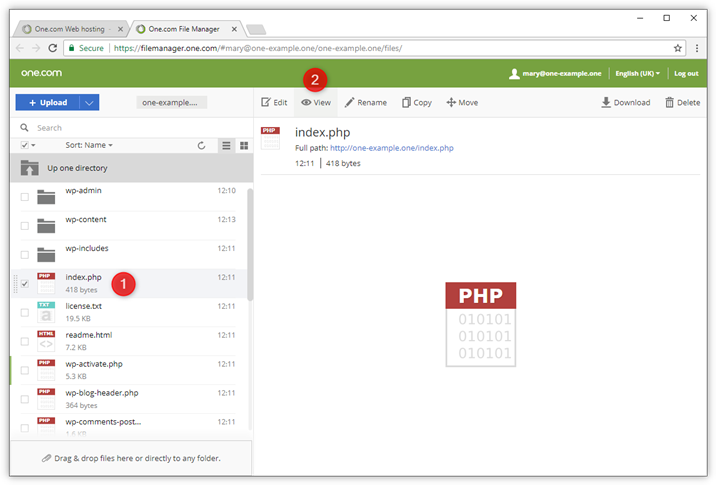 Select index.php in File Manager. Click View in the menu at the top of your screen. You now need to select which language your WordPress should have. Your dashboard will be available in this language. 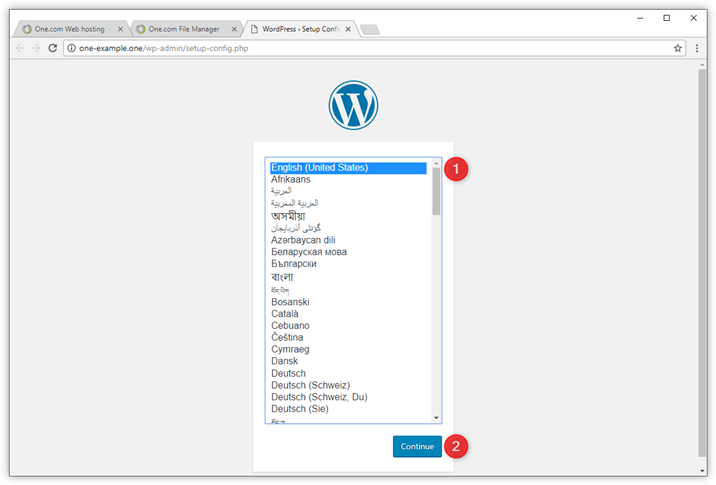 Select in which language you want to install WordPress. Check that you still have your database login details at hand. Click Let's go!, to continue. Enter your database details, the ones that you located earlier. Click Submit to continue. 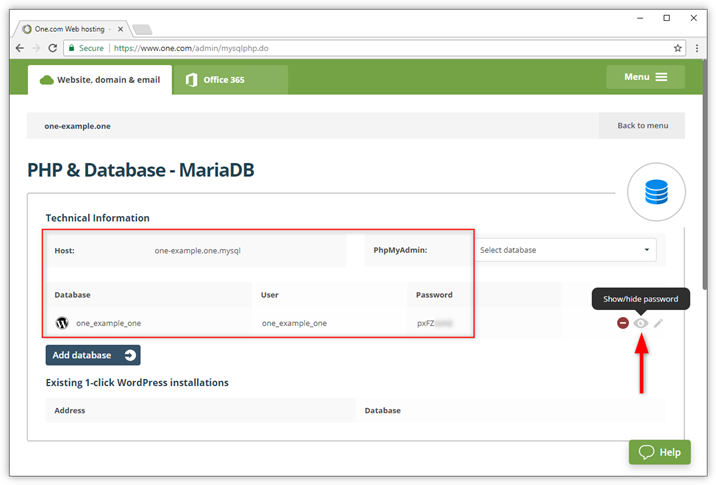 Tip: If you plan to install multiple WordPress installations in the same database, we recommend to let the table prefix reflect the location where you will install WordPress, like for example www. 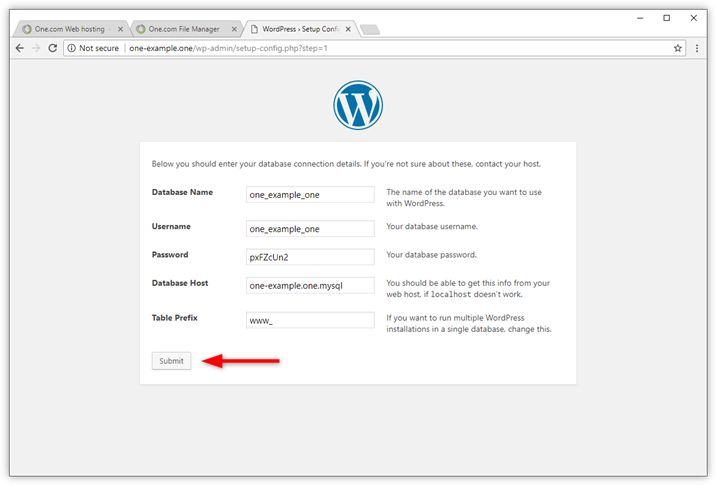 If all details are correct and WordPress can access your database, you will see a confirmation. Click Run the installation to continue. A title for your site, you can change this again later. Your username; it will be visible on your site if you post something. It should not be Admin. The password you use to log in; make sure that you select a strong password. An email you have access to; WordPress will send all its communications to this address. You can check the box for search engine visibility if you don't want your site to appear on Google. This can be handy while you are still creating your website. You can change it again later. Click Install WordPress when you are ready. Success! If everything went alright, you should now see the confirmation the WordPress has been installed. Click Log in, to continue to the login page where you can access your dashboard. 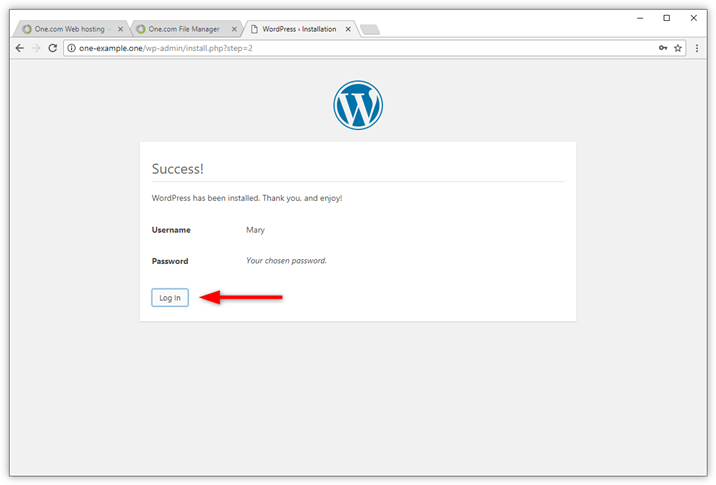 You are now ready to log in to your WordPress dashboard for the first time. Here you manage your themes, plugins, posts and pages. Type in your username and password and click Log in. Tip: Save this page to your bookmarks bar, so you can easily access it again. We have developed our own plugin to help you get the most out of your WordPress website. It allows you to install other plugins, like the One.com Online Shop, and specially designed themes only available for One.com customers. Check our guide on how to install it. WordPress is the most used CMS in the world. Unfortunately, this means it is also very popular with hackers. For this reason, we have created a guide to help you improve security on your WordPress site. 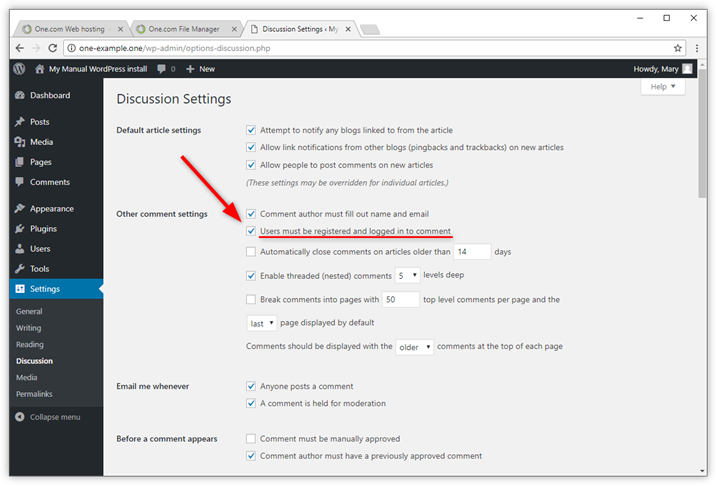 One of the things you can do right away to make your site less vulnerable to abuse is to disable anonymous comments. Go to Settings > Discussions and check the box for "Users must be registered and logged in to comment".